Ferencváros had a come from behind win to stay on top of the ERSTE Liga, with UTE winning as well. Gyergyó won on the road against HK Budapest. It took less than a minute for Fradi to take the lead as Gergő Nagy setup Attila Pavuk for the opening score of the game. Late in the period Levente Zsók tied the game up when he stuffed the puck into the back of the net. 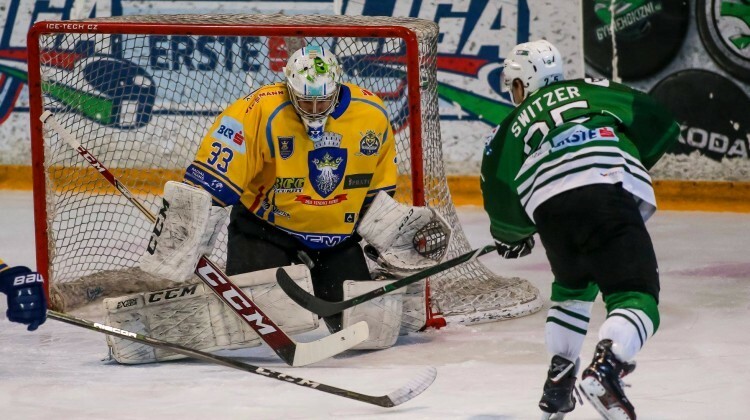 In the second period started off well for Ferencváros Brett Switzer picked up a loose puck and put it past Patrik Polc. After Fradi did not score on a power play Árpád Mihály tied the game up at 2-2. Before the period was over Tendler put the visitors up by a goal. In the third period Pleszkán stopped Tendler on a breakaway and then Gergő Nagy redirected a Perrier shot to tie the game up at 3-3. Late in the game Switzer gave Ferencváros back the lead with Rafaj scoring an empty net score. This was an exciting back and forth game with both goalies playing great. The only goal of the game was scored with just over a minute left when Ladislav Sikorcin centered a pass to Taylor Stefishen who scored from the slot. Dávid Duschek picked up the shutout win. The home team scored first by the way of Ottó Szopos however Hunor- Csaba Elekes Darabont quickly tied the game up. In the second period Pavel Vorobjev forced a turnover, took the puck and skated in for the breakaway goal. In the end the visitors held on to the one goal win.